Adobe is just now wrapping up today’s live presentation for Adobe Creative Cloud and Creative Suite 6. Not much has been kept a secret this year, with countless early announcements and beta previews. Still, we knew Adobe kept a few secrets, and now we have just gotten a glimpse at what’s on the way for Creative Cloud subscribers, arriving after May’s release: Community Galleries, Adobe Kuler, Lightroom PhoneGap, DPS and more. These features will not be ready with the May release, and have only just been leaked. Community Galleries: Adobe will release new community galleries which allow users to share and create with other creative professionals. The goal here seems to be to develop a gallery space and network just for members. PhoneGap: Adobe’s acquisition of the ever-popular PhoneGap service is arriving soon, and perhaps it is connected with the release of Adobe Shadow. Digital Publishing Solutions (DPS) are coming to all. The service had been previously only used by major publishers. This will undoubtably be integrated with InDesign, which has a major role in Adobe’s tablet push. Adobe also revealed that external artists designed the covers for each program — a testament to Adobe’s commitment to supporting and embracing artists and designers. Lastly, Adobe is announcing a handsome $1 million scholarship for students seeking college degrees in the arts. Learn more here. 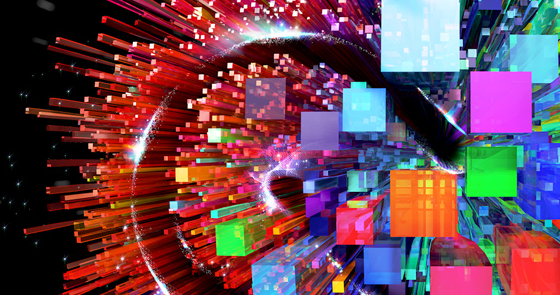 Adobe has had quite the day, having announced the official May release of CS6 and Creative Cloud. CS6 is a welcome improvement for creatives, and Creative Cloud is an interesting push towards a subscription service that unifies everything the company offers.